11.16.18 - Plantgistix President, Sam Diaz moderating a panel at the Petrochemical Supply Chain & Logistic Conference. 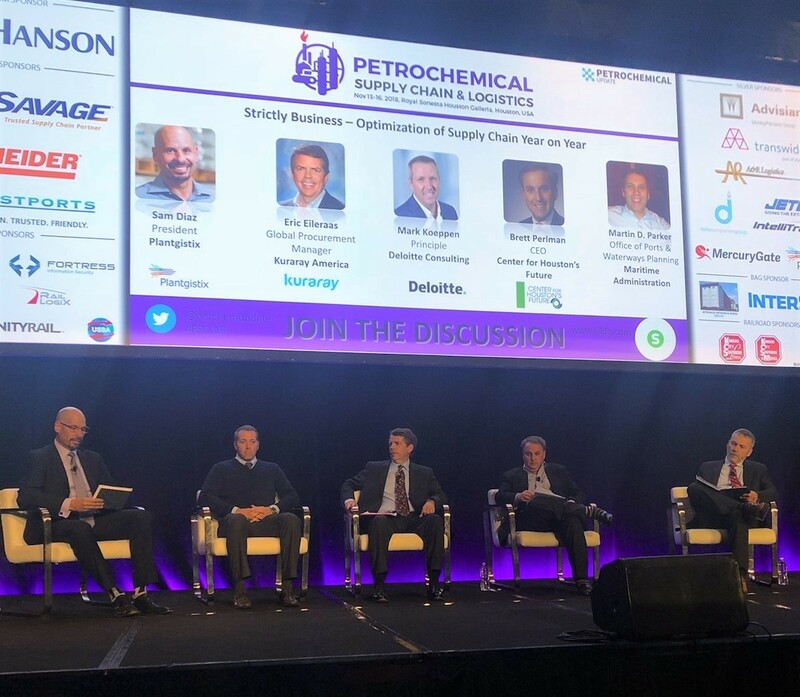 On November 16th, during the Petrochemical Supply Chain & Logistic Conference in Houston, Texas our President, Sam Diaz moderated a panel of key industry leaders discussing some of the challenges faced in the petrochemical supply chain and what can be done to overcome them. • How well the petrochemical supply chain is coping with increased volumes. • Understanding and working towards overcoming the main barriers to an optimal supply chain. • How to support the current export volumes. Plantgistix was honored to be part of a panel with decades of expertise, living true to our mission of continually seeking innovative ideas to ensure we continue to be the success catalyst for everyone we touch. Plantgistix is a proud sponsor of the Petrochemical Supply Chain & Logistics Conference, an industry leading event where supply chain and logistics professionals meet to deliberate on industry challenges, innovative technology, and the market conditions that impact the petrochemical supply chain industry.